US Industrial REIT II selected Ridgeline Property Group for the 211,500 square foot expansion of its leased facility in Villa Rica, Georgia. 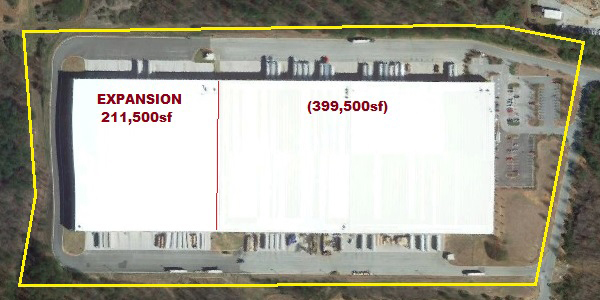 The 450’ x 470’ expansion comprises of 50’ x 50’ bays/60’ speed bay, 34 new dock doors/1 Drive-in door, 54 new parking spaces and connection to the Municipal Sewer. Completed in the first quarter of 2016, the warehouse increased in size to 611,000 square feet. This entry was posted in Completed Projects by domainsupport. Bookmark the permalink.